Using so-called flash freezing technology, this appliance uses Keurig-style pods, which they call Wim-bowls, filled with powdered frozen yogurt mix; all you have to do is add the milk (any type you want, including almond, coconut or soy). Press one button, and the yogurt is whipped up inside its little bowl, meaning there’s nothing to clean up afterward. A personal fro-yo mixer is a luxury though: The machine itself costs $299, while the Wim-bowls are priced at $3 to $4 dollars each. Might be easier to just walk to Pinkberry. This robotic bartender comes with six Soma pods, but the catch is you have to fill them with your own booze and spirits. Once you load them into the machine, you touch a button on your phone using the Somabar app, the machine measures, pours, and mixes your drink. Just add their brew boxes to this appliance, press a button, and the machine brews your beer for you. You can even wash the keg where the beer is fermented in your dishwasher. It’s home brewing for the masses—as long as the masses can afford the $399 price tag. The idea of countertop beer is so attractive, the actual Keurig might even be getting into the business. This Jell-O shot machine, which raised $4 million dollars from investors, automatically makes 20 shots in just ten minutes flat, in margarita, piña colada, or strawberry flavors. The Jevo is geared toward bars at the moment, where crowds of hungry college students probably eat (or slurp) these things up, but having one at your next house party would certainly would certainly keep your guests entertained. If you don’t like store bought tortillas and you don’t have the skill to cook your own, Flatev claims to be the solution: Insert the small pod filled with tortilla dough into the machine, then watch as a parade of taco shells come off the conveyor belt. The Flatev raised $100,000 on Kickstarter, but it isn’t for sale yet. It’s expected to cost between $250-$300, much more of an investment than just picking up a pack of tortillas from the grocery store, but maybe freshness is worth the investment. This is no normal oven: The CHiP smart oven promises to bake your cookies in ten minutes and it, of course, comes with its own dough pods that you can load into the machine so you don’t have to worry about the mess of having to make real cookie dough. This $400 juicer was supposed to be a technological innovation: It only worked with its custom made produce packs, and it creates four tons of pressure to get every last drop of juice out of those fruits and vegetables. Then, an investigation from Bloomberg turned up the fact that the packs can be squeezed by hand, making the Juicero useless. Those revelations didn’t seem to deter the company—they’ve since expanded their operations to seventeen states. 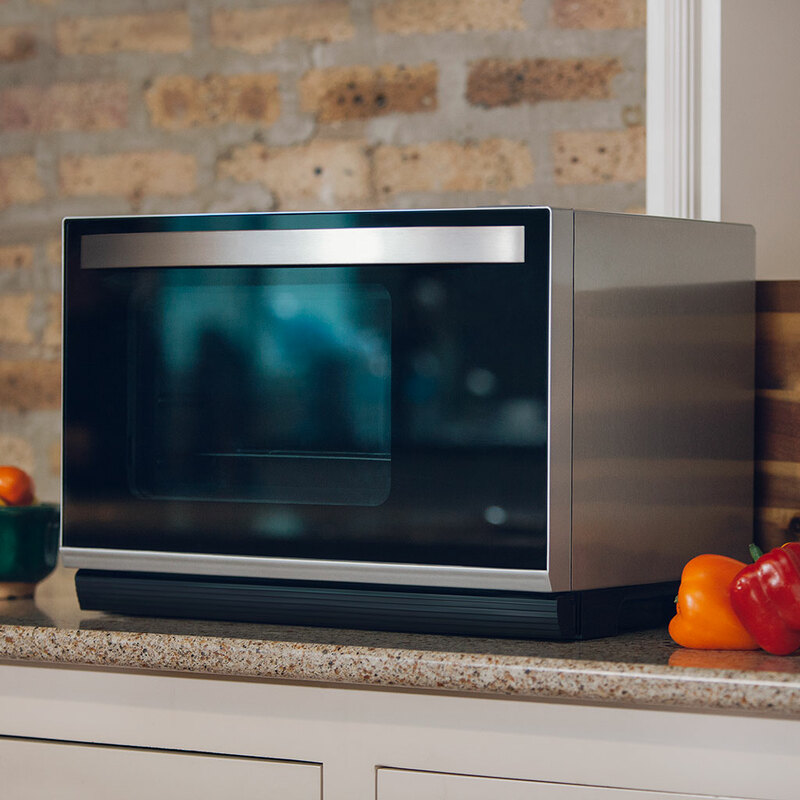 This appliance fits on your countertop and combines a broiler, steamer, oven, microwave, and toaster. 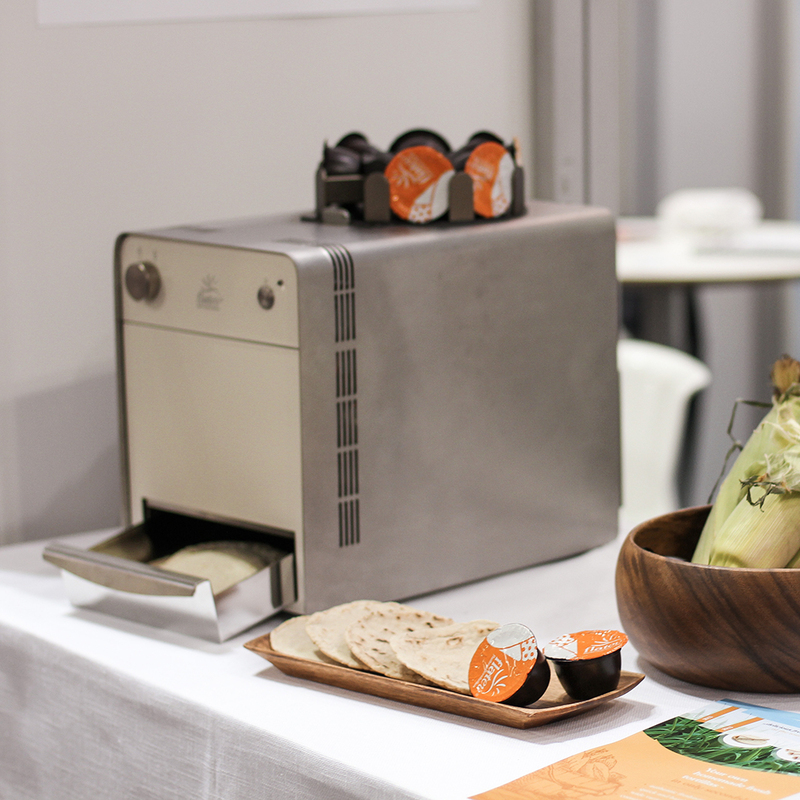 Tovala claims to be able to cook your meals at 550ºF in 10 to 30 minutes. Plus, you can have pre-prepped meals sent to you every week, which means the all-in-one machine can basically eliminate cooking from your life. 9 of 9 Courtesy of CannaKorp Inc. This device makes the life of marijuana smokers (whether it’s for recreational or medicinal purposes) even easier: Fully recyclable pods contain pre-ground cannabis flowers. Pop them into the machine, and you get a vaporized cloud of your favorite strain. The CannaCloud doesn’t have a launch date in the U.S. yet, but the company is aiming for sometime in 2018.